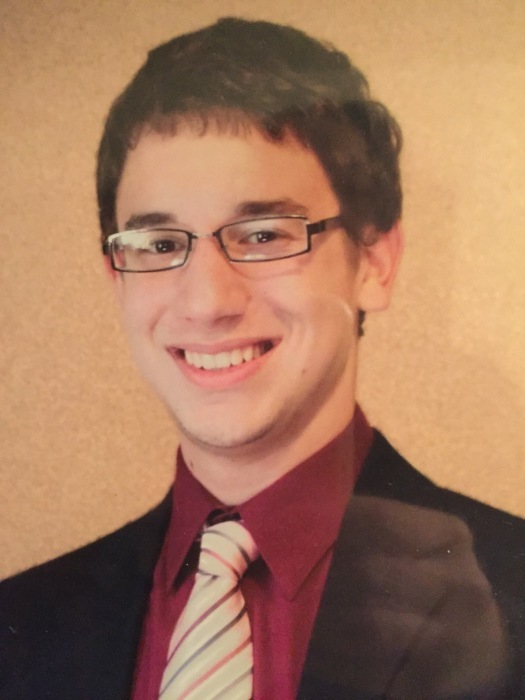 Obituary for Jonathan Joseph "J.J." Stanko | Sollon Funeral and Cremation Services, Ltd.
Jonathan Joseph "J.J." Stanko, 25, of Canonsburg, passed into the presence of his Savior Jesus Christ on Saturday, November 10, 2018. He was born August 11, 1993, in Canonsburg, son of James and Deborah Lanzy Stanko. J. J. attended Waterdam Church, Canonsburg, participating in VBS, inviting teens to Youth Group, and adventuring on to the mission fields of Maryland, Minnesota, and Kentucky. He graduated from Canon McMillan High School where he was a four year letterman on the varsity swim team, qualifying for the WPIAL in both individual and relay events. He also swam for the local YMCA earning a spot in the YMCA state tournament. He enjoyed life guarding, greeting his friends with his loving smile, a sympathetic listening ear, and sharing his journey along recovery road. Surviving are his parents, James and Deborah Stanko, of Canonsburg; his brother, Jared (Jamie) Stanko; of Sandy, Utah; his grandmother, Dorothy Jean Stanko, of Canonsburg; Uncle Jack Stanko, of Canonsburg; Aunt Lisa Lanzy, of Canonsburg; his nephew Benjamin and niece Bethany. J.J. was preceded in death by his paternal grandfather, Jack Stanko; his maternal grandparents, Joseph G. and Nancy M. Lanzy, and his brother, Joshua, and his niece, Grace Elizabeth. Friends will be received Sunday November 18, 2018 1-4 and 6-8pm at the Sollon Funeral and Cremation Services, LTD, 30 East College Street, Canonsburg, Phillip L. Sollon, supervisor, J. David Sollon, director, 724-746-1000. Services will be held Monday, November 19, 2018, at 10am at Sollon Funeral Home. Interment will follow in the Oak Spring Cemetery Canonsburg, PA.